Have you ever become frustrated with the lack of flexibility in bathroom faucet choices while doing a bathroom renovation project? Maybe you have stood in a bathroom showroom while pointing at two totally different options and said: “I want that spout with those handles”. If only you could design your dream faucet! Now you can, with the KOHLER Components Collection. Components is a minimalist collection that adds pure and simple modern design to your own bathroom but, with flexibility. It puts the freedom of choice into the hands of the consumer. You simply embark on a three step process: choose your spout, choose your handle and choose your finish. The collection is interchangeable and can be mixed or matched to create a tailored look. Not only is it funtional, it is also super stylish. So much so, the Components Tube faucet in the Ombré Finish was honored with a top distinction at Interior Design’s 2018 Best of Year Awards. Clearly inspired by the worlds of fashion and modern design, KOHLER created an "uncommon showpiece that is unlike anything else on the market". There are three Spout styles in the Components Collection: Row is a modern design with crisp angles and Tube is a timeless cylindrical style. The Ribbon style is true to its name and looks like a thin ribbon. 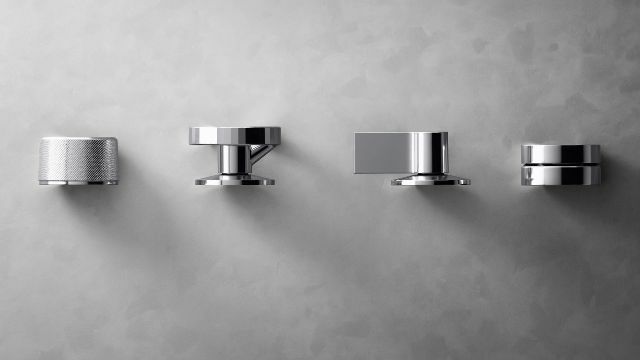 Each handle within the Components collection delivers precise water flow and temperature control. Handles are offered in four different style options: Oyl, Industrial, Lever, and Rocker. When choosing a finish you can pick from Polished Chrome, Vibrant Brushed Nickel, Vibrant Brushed Modern Brass, Vibrant Titanium, Matte Black and two different Ombre options. 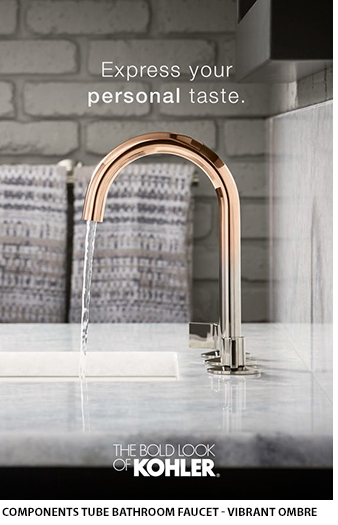 One interesting aspect to note about the Vibrant finish is the process Kohler uses to to bond the finish and faucet together at the molecular level. This process creates an incredibly strong surface that’s both scratch-resistant and tarnish-resistant. We love that! To learn more about the KOHLER Components Collection, simply call or visit your local Ultimate Bath Store http://ultimatebathstore.com/Locations/. Are you ready to talk about your project?